Homemade Herbal Tea Blends. If you can boil water, you can craft your own herbal teas. Get creative with fresh & dried herbs, spices, flowers, citrus rinds. If you can boil water, you can make a tasty herbal tea to relax with or a healing herbal tea for whatever ails you. LAVENDER – shown on feature image at top of page. Add dried Lavender Blossoms to a tea ball. Put the tea ball in a pot of your favorite tea while brewing it along with the seeds scraped from one-fourth of a split Vanilla Bean. PEPPERMINT & SPEARMINT are traditionally used to soothe an upset stomach. 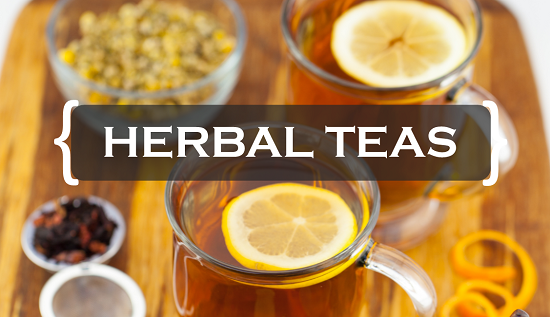 Add 1 tablespoon fresh or 1 teaspoon dried mint leaves to a tea ball or use loose leaves. Add a bag of green rooibos tea and boiling water. Steep. For loose leaves, strain before drinking. Caffeine-free Rooibos is low in tannins so it’s not bitter. Grown in South Africa, the leaves of the Red Bush are traditionally used to soothe an upset stomach and relieve colic. 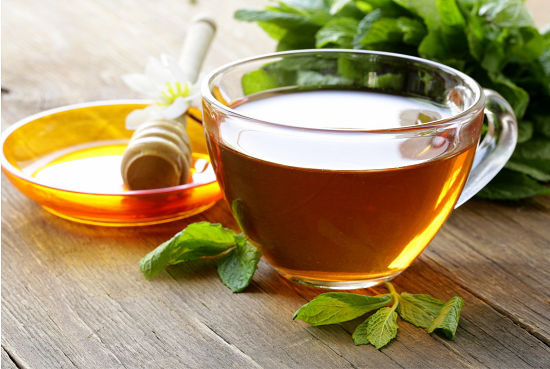 Combined with mint tea, Green Rooibos works wonder for nausea and other digestive aliments. 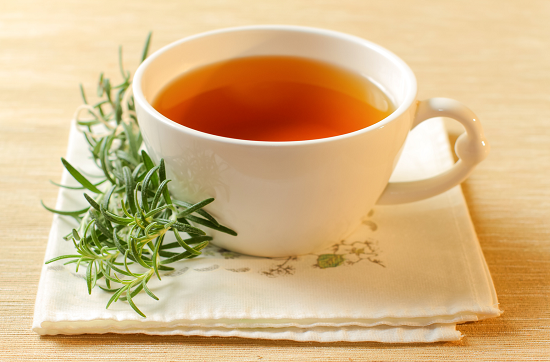 ROSEMARY TEA is traditionally used to ease aches and pains. Add 1 tablespoon fresh or 1 teaspoon dried rosemary leaves to a tea ball or use loose leaves. Add a bag of green tea and boiling water. Steep. For loose leaves, strain before drinking. Green tea also helps alleviate aches and pains due to epigallocatechin-3-gallate or EGCG. University of Michigan researchers found that EGCG relieves arthritis pain. An added bonus of drinking green tea is that it is low in caffeine but high in nutrients. It also contains beneficial cancer fighting antioxidants. THYME is traditionally used to clear sinuses. 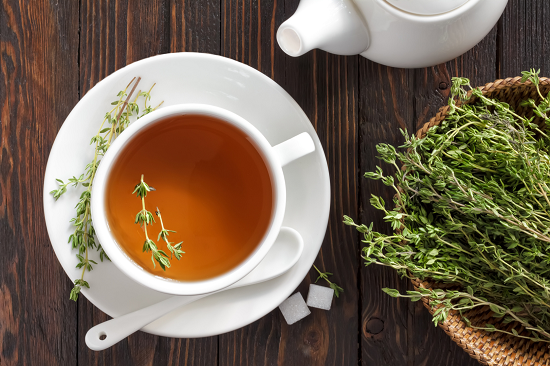 Whether you are suffering from a cold, a sinus infection, or allergies, drinking a hot cup of thyme tea will help unplug you. Add a inch slice of peeled ginger + 2 cups water to tea pot. Bring to a boil, reduce heat and simmer 10-15 minutes. Add 1 tablespoon fresh or 1 teaspoon dried thyme leaves to a tea ball or use loose leaves. Add hot ginger water to cup and steep. For loose leaves, strain before drinking. You can also use a bag of 100% ginger tea. Ginger also eases congestion. CHAMOMILE tea is traditionally used to combat insomnia due to its nerve-soothing and sedative qualities. German chamomile is slightly stronger than Roman chamomile. Add 2 to 3 teaspoons of Chamomile buds to a tea ball and steep in boiling water for 5 minutes. If using loose tea buds, strain before drinking. 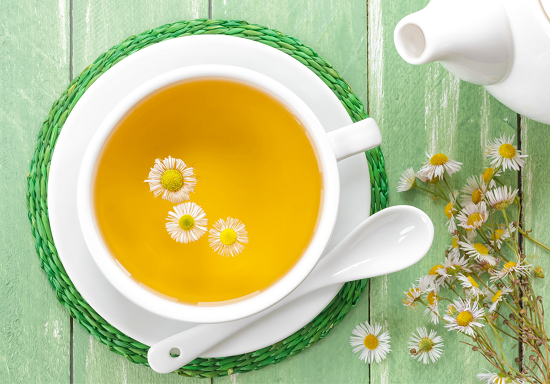 Chamomile’s reputation for fighting bacterial infections and boosting immunity is due its botanical phenolic, hippurarte. ECHINACEA OR PURPLE CONE FLOWER is traditionally consumed for its ability to ward off colds or to shorten the duration of a cold. 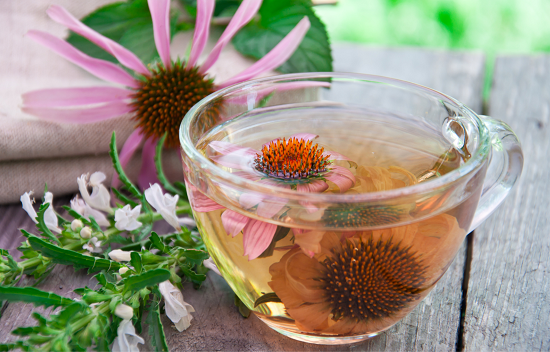 Traditional tea making won’t give you the maximum benefits of Echinacea like a tincture will, since alcohol better preserves its. Look fro an Echinacea Tincture online or at your local natural foods store. 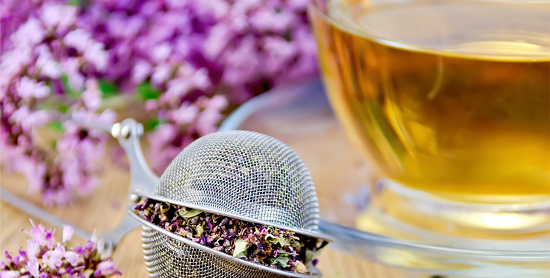 Metatags – Homemade Herbal Tea Blends. If you can boil water, you can craft your own herbal teas. Get creative with fresh & dried herbs, spices, flowers, citrus rinds.